Originally posted on Jan. 20, 2015. PISCATAWAY – I spent three days as a reporter intern for Swimming World at the Berkeley Aquatic Club’s annual CeraVe Invitational where I discovered the world of competitive swimming in an entirely different way. As I stood by the pool for more than two hours each day, talking with dripping wet and tired swimmers fresh from their races, as I endured the endless screaming and whistling of the coaches, I was reacquainted with the sport by experiencing it at the scene, instead of behind a television screen. Before I arrived at Rutgers University for my three-day stint, I had always thought of swimming as a boring sport, at least from a spectator’s point of view. Sure, it is quite entertaining to see who’s ahead of whom, the back and forth of swimmers competing for the lead, and the beastlike roar of happiness and triumph of the champion. However, the endless laps of up and down the lane with not much more action than arms and legs waving fiercely against the water can get boring after a while. I always thought I could be having more fun watching a sport like basketball or soccer, which give people a sense of immediate satisfaction. I have realized, however, that I have been neglecting the amount of work put into swimming, and how committed one has to be to excel in competitions like CeraVe and other major meets. On the first day of the meet, I was able to talk to a couple of swimmers about balancing their swimming career with academics and social life, two other vital components to a life of a teenager. After learning that their lives were in essence composed of only sleeping, eating, swimming and doing homework, I wondered if I would be able to do the same feat. I had the chance to reflect upon my own lifestyle, and how much easier I had it in my perceived hectic life. It was simply amazing how they dealt with everything else outside the pool, but what awed me more was the group passion and fervor that were evident during competition. I had dismissed, or tried to dismiss, the loud yelling and the high-pitched whistling as annoying and incomprehensible. I could not understand why they had to constantly yell and whistle throughout the whole race. It was especially unbearable during the long-distance races, as my ears were soon fatigued, while the coaches’ vocal chords were not. It was only by the end of the meet that I realized that it signified the amount of camaraderie that cannot be seen in any other sport. I was amazed by the strong connection between the coach and the swimmers, and among the swimmers as well. Swimming is one of the most underappreciated and neglected sports for those who are not directly involved in it. Having hands-on experience with swimming for three days, I realized that there is more to it than what is displayed on television at the Olympic Games. After all, there is more to swimming than medals, Michael Phelps and tight swimsuits. The amount of effort, teamwork and passion that goes into swimming is often hidden beneath the surface, and it cannot be fully realized without being right in the middle of the action. Like yourself, I never understood the sport of swimming until about 15 years ago when my first grandson became involved with swimming and meets at the tender age of 6 or 7. Today , he no longer swims once graduating high school but has two brothers who are still very involved with swimming. The next oldest who is now a jr in high school and one of the swim captains for his high school team and a 13 year old that swims for club. We live in SC and they moved to Texas 10 years ago and several times a year we travel to visit and try to catch a swim meet. These kids are so dedicated, even at Christmas they only had Christmas Day off from practice. Leaving for practice at 5:45am some mornings and sometimes practice twice day! So much dedication ! They are to be commended. Swimming is not given the recognition it deserves. A proud Grandmother of a couple of swimmers. Like yourself, I never understood the sport of swimming until about 15 years ago when my first grandson became involved with swimming and meets at the tender age of 6 or 7. Today , he no longer swims once graduating high school but has two brothers who are still very involved with swimming. The next oldest who is now a jr in high school and one of the swim captains for his high school team and a 13 year old that swims for club. We live in SC and they moved to Texas 10 years ago and several times a year we travel to visit and try to catch a swim meet. These kids are so dedicated, even at Christmas they only had Christmas Day off from practice. Leaving for practice at 5:45am some mornings and sometimes practice twice day! So much dedication ! They are to be commended. . A proud Grandmother of a couple of swimmers. I humbly disagree with the author. Swimming isn’t a sport, it’s an obsession. Children are encouraged from a very early age to place swimming above all else. I have seen it for myself. Swimmers are discouraged from participating in other school activities, having friends who aren’t part of the swim team and even from participating in family vacations…anything that takes them away from “the team”. It’s almost like a cult. While the author may have seen comradery amongst the team he observed, I have seen mean spirited children (and parents) ridicule and demean other children in an attempt to undermine their confidence so that they, or their child could gain an advantage. I have seen some children who can’t define themselves in any other way than as a swimmer. They become one dimensional entities. Any parent who encourages their child to swim to the exclusivity of all else is doing it for themselves. Perhaps they never had any real success in their own life and are attempting to relive the glory days through their own children. Let me say this, swimming is wonderful because it can teach children a great many positive things. However, it does have its dark side. I believe that swimming needs to be much more strictly regulated. These are our “children” for heaven’s sake. Let them experience everything they can while they are young so they can become well rounded, contributing citizens. By the way…there aren’t any professional “swimmers”! Linda, as a college swimmer who worked my way up through the ranks of the age group swimming world, I must disagree with your negative view of the sport and offer an alternative view. While the description of swimming as a “cult” is somewhat accurate, this can be argued for any other sport in which children immerse themselves. Soccer players, runners, tennis players, football players, etc. spend just as much time with their teammates, away from family, after school activities, and their peers off of the team as swimmers do. And you will find the stereotypical sports parent in any arena, regardless of whether their child is competing in an artificial body of water or on a beautifully manicured field. It is also not always the case that the parents are in some way forcing their child to compete or place the sport above everything else. I think that if you spent enough time around the sport, you would find a genuine love for the sport, especially when the reality that a swimmer will not go pro or become an Olympian sets in. My love for the sport has led to numerous clashes with my family and my friends outside of the sport and no one has ever forced me to continue with it. I encourage you to explore the positive side of the sport more carefully and to also replace the word “swimming” with words such as “soccer”, “football”, “running”, or any other sport you can think of. There is more commonality between sports obsessions than you may think. And there are also numerous professional swimmers in the world, and ones such as Cullen Jones who use their fame and income to promote water safety amongst children and other charitable donations, especially considering that a lack of swimming ability could cost someone his or her life. Sarah, you are certainly speaking of the swimming experience from a personal perspective and I respect that. I agree with you that any “sport” can be taken to the extreme. I am speaking from a parent’s perspective. I have been through the swimming experience now for 10 years. My children have the passion for swimming and have won many awards and State Championships. I just believe that as a responsible parent, you should temper that passion with other experiences and opportunities. My children also participate in many other activities at which they excel, and for which they have received abuse from their “swim teammates”. They are soccer players, singers, dancers, artists and musicians, not just swimmers. I have not experienced the same pervasive abuse and negativity in any other area. I am glad that you haven’t yet experienced it. I do wish you the best of luck in the future. I am a swim parent and I have to tell you not every club is like your children’s. My children swim for a club where the swimmers and parents cheer and support each other. I’m sorry your experience has been so negative but I don’t think it’s fair to make such broad generalization. And there are no professional lacrosse players either but in our area it is the holy grail of club and school teams. Also, when did children playing sports become about making a career out of it. Swimming has taught my son and daughter invaluable life lessons. And no my children don’t play another sport but my daughter spent to weeks at theater camp last summer and my son took a week off for sailing camp and still was able to qualify for state long course championships. My daughter is still a Girl Scout. Our club team has Ballet Dancers, chess and debate team members and not once have I heard of a coach, a parent or a teammate speak negatively of a swimmer for pursuing other interest . As a parent it is our responsibility to provide balance for our children. You would not leave your child in a bad school why would leave them in toxic swim club. And there are many professional swimmers – they just aren’t as publicized and cherished as the pros in more popular sports. Justin, I am happy that your experience was positive and that you are a “true believer”. I guess that’s what it takes. My personal experience has been different. Not any professional swimmers……Katinka Hosszu ring any bells? Girl makes over half a million dollars a year from swimming. Given that she is indeed an exception, there are plenty of swimmers who go on to sponsorships and attain a professional status. Paige, I certainly understand your desire to defend you “sport”. Believe me, I appreciate and respect it. I guess you are right if making money swimming qualifies a person as a professonal. Ms. Hosszu is certainly an accomplished swimmer and makes money. I guess it’s all it how you define “professional”. You are a horrible person, get off the planet. Swim is life bro, nothing else matters. I agree with you!!!! Swimming is the life!!! K, please read my response to R. Although, you are a step above him in that you didn’t have to resort to name calling to make the point that swimming is your entire life. R, I feel sorry for you if all you have in your life is swimming. It is a healthy activity if kept in perspective. It’s also pretty sad that you have to resort to name calling when someone doesn’t share your point of view. Clearly you support my contention that many folks in the swim world (NOT ALL) are one dimensional. Wake up…there’s a whole world out there, “bro”. Linda, honestly you have no idea what you’re talking about. Swimming is one of the most challenging and intense sports out there. It’s a choice no one makes you swim, no one can make you swim. You can be taught from a young age but just like you can teach someone to play soccer from a young age once they get older and mature they chose wether to continue or not. You are an arrogant close minded fool and really need to get your facts straight. Taylor, I wasn’t going to waste my time responding to you, but I just can’t help myself. YOU ARE WRONG! Parents can, and do, put pressure on their children to swim at an early age. I have seen it over and over in my community. Adults can make children swim, and when they don’t swim well, they can be demeaned or belittled. You are right, swimming is challenging and intense and it is just those characteristics that can destroy a childs self-esteem and self-worth. If you can get past the early years, if you have a true passion for swimming and you make a conscious decision for yourself to swim, I know that it can be exhilarating. I also know these issues are not exclusive to swimming. It’s just that this article was about swimming not football or soccer. I think you’re the one who is closed minded and arrogant. At least I don’t have to resort to name calling to get my points across. Good lunck to you in the future. Linda, you claim not to waste time on responding to those answers. However, you wrote a lengthy paragraph defending your argument about your opinion about swimming. On top of that, you decided that it was a great idea to brag about your children. Is it that important to bring it up? Based on the responses here, your comments are irrelevant. Dr. House, I personally think you are the one who is irrelevant. You just made a comment that said absolutely nothing! Clearly you have spent too much time swimming and not enough time in English class. I am so sorry your connection to swimming was so negative. It sounds like the issue is the community in which you live. Not one of those things occurs on our team and would be quickly stopped if it did. Maybe another team or school or club should be considered? Thanks so much for your support. You are may be right. It may be my community more than the sport. I have considered moving my kids to another swim club. I think you just help me make up my mind. I hate to throw out the good with the bad. Best of luck to you in the future. Linda, I have to strongly disagree with most of the points you made and to be honest, I am very offended. Of course swimming is a sport, but it is so much more than that. I have been swimming competitively for over 10 years and I wouldn’t trade it for anything. Yes, at some times you could consider it an obsession, but what’s wrong with that? There have been so many times where I had to sacrifice things for swimming, but I don’t regret any of it. I made these decisions on my own, not because crazy parents, coaches, or teammates forced me to. I have been fairly successful in terms of my swimming career, but it goes beyond that. The connections I have made with my coaches and teammates are indescribable. My teammates became the friends I know I will have for the rest of my life, and I can picture in my wedding one day. I think many other swimmers would agree with this. Like any other sport, swimming is so competitive, and that can sometimes bring out the worst in people, but I have also seen it bring out the best in people. The competitiveness can bring a team together for a common cause. Swimming is often perceived as an individual sport, but there is no way I could have done it alone. Relays depend on four swimmers, and team points rely on the entire team. Have you ever done a practice alone? It is so much harder to motivate yourself than when you are surrounded by your teammates who are fueling your motivation. I am a full time college student and a swimmer, and I still have time to be involved in my sorority and other clubs on campus. I have never been discouraged from participating in another activity because of swimming. Even as a student-athlete, I don’t put swimming first. Swimming isn’t everything and academics still come first. That is a very common theme across the country, even though swimming can interfere with school. It is absurd that you would even consider regulating swimming because it is the swimmer’s choice to be involved in the sport (yes, swimming is a sport). I am also appalled that you seem to think being involved in swimming prevents one from becoming “well rounded, contributing citizens.” Your comment about there not being professional swimmers is completely false, and it makes me believe you have been living under a rock for the past several years. According to Merriam-Webster a professional is defined as someone who “participates for gain or livelihood in an activity or field of endeavor often engaged in by amateurs.” Last time I checked, there are several swimmers who fit this description. There are also rules by the NCAA regarding professional status. Last thing, stop with your excessive use of quotation marks. They are unnecessary and only detract from your claims. 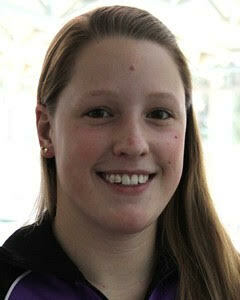 College Swimmer, I wish you continued success in your college and swimming career. It sound to me like you have risen above the issues I have encountered. The fact that you have had a positive experience with swimming doesn’t make my concerns any less real. Whatever your chosen career in the future, please keep an open mind. B, I don’t have the time or energy to explain myself to you. I just want to make one thing clear to Sarah. I was not placing myself above her, as you say. I respect Sarah’s opinion and ask others to respect mine. Even if we don’t agree with each other, we can be civil. I also want to say that I am blessed to have very remarkable children. Both of my kids swim and have received multiple 1st place awards at our State Championships, both through the YMCA and high school. My youngest is an accomplished soccer player. My oldest dances competitively and has won national awards. She also sings in the choir and plays in the concert band. Both the choir and the band compete regularly in statewide and national competitions. Both children are on the honor roll at school, every semester. So, my children are well rounded, challenged and smart. Linda, as a D1 swimmer with 3 B-cuts I completely AGREE with you. Swimming is among the worst sports for promoting or fostering mental health. Depression/mental disorders sit at much higher rates on university swim teams when compared to the university age average. This should say something! Rob, Thanks for your comments. I wish you the best! Some people just want to watch the world burn. This my friends is one of those “people”. You can say that swimming isn’t a sport; however, that makes you very wrong. Swimming is indeed a sport, and you can verify that with a dictionary. You state that swimming is an obsession, and that it forces your children to swim and skip family vacations. No one else has the power to force you to practice every day. It’s entirely the swimmer’s decision.I would hope that the reason your children are on the swim team is because they want to be. The fact that your children have skipped said vacations to attend practices means that they are DEDICATED. A parent of such a child or two should be more than happy to know that their children have something they enjoy to do. As for time management, swimmers have been statistically proven to have the best time management skills. Spending all your time eating, sleeping, swimming, and repeating is what builds DISCIPLINE. Parents encourage children to do lots of things. Mine included. They want their kids to try something new and experience different opportunities. There are certainly parents who want their children to succeed in what they do. They want the best for their kids. I would hope that you would think the same. Swimming is a commitment, a decision, a lesson, an “obsession” as well. And it is by all means a sport. A Swimmer – If you are going to quote statistics, you need to be prepared to provide your source. I am a former swimmer, a former coach, sports program administrator/team owner, USA official, and my favorite job, parent of swimmers. I have spent 21 years in Aquatics. I had my first paying job at a pool when I was 13 years old. 1980. I had a 15 year break from the sport until my twins saw me watching a swim meet on tv and asked (then 5 ) if they could do that too. “YES” I secretly yelled inside and signed them up for swim lessons, I and they now 19 year old sophomores in college will tell you that it was the best thing they/I ever did. They loved it. but from the time they were 6 on the local Y team until they were 10 we forced them into other sports in the off seasons, music lessons, dance, girl scouts but they not me (at the time I was just a former swimmer) decided they wanted to swim and only swim. (they later also took up running 5 K and all host of extreme fitness/working out activities) enter middle school and they started running CC and track but swam year round through high school graduation. One chose to swim in college and one chose to run (college has no pool and she is going through swim withdraw) but even so they will tell you they are going to hate to give up next semester because as Pre-vet/bio and Pre Pharm/chem majors their first love and passion has to be set aside for the good of academics. I very proud of the young responsible women they have become and I believe student-athletes make better grades and all the characteristics that lead to that because of dedication to sports (in this case swimming), I think the individual sport athletes v. team sport athletes learn that the best. I believed this so much that I did my Masters thesis on this subject. The research proved me right. My girls will tell you, of the life lessons they learned while swimming, the life long friendships with not only their team mates but their families of their teammates, one of their coaches became their confirmation sponsor. Yes there are teams that like you described can be mean, parents are nut cases and even some coaches only coach their kids, get the head coach fired because they won’t spend all the time with their little superstar. You name it I can insert it into at least one of the teams we were on. We LEFT a team like that and went to another. It was the best thing we did. Didn’t’ want to, we told our then 11 year old what we knew and let them decide. They followed the coach and were with him for 8 years. He became a major role model in their life because of the way he handled himself. Have you thought about LEAVING the team and going to find another one. There is a team out there for every type of swimmer. Some are top producers of Olympic and National level swimmers may be too much for your children and are more likely with the mentality as you described. (lived it) some are your local league teams and even your summer league teams are sometimes even more laid back) and some are in between. Before you blame a whole sport, based on your experience at one team you may need to be research other teams. I am going to assume you are a responsible parent and have your child’s best interest, which may mean take a hard look at where you are and change what isn’t working or what does not make your family happy. My husband is still a USA official and helps the local Y team with their meets and officiates high school meets and both of our girls have been gone for almost 2 years. I Swim families and whole swim communities are there when you need t hem. I have seen swimmers, parents of swimmers and coaches pass away from cancer/tragedy and the whole regional swim community stand behind them and their families before, during and after their illness. I can think of other sports where parents are just as bad if not worse…ever watch Dance Moms or Toddlers and Tiara’s, yikes, it happens in non sports too. I was an administrator and owner of one of those laid back teams. My swimmers not only played other sports, piano, chess, musical instruments and scouting, etc. I encouraged it. And went to their games, events, and bought scouting cookies. I sincerely hope you find the right team fit for your child and for your family. And just a note on pros in swimming, Michael Phelps, Aaron Persil, Ryan Louche, Natalie Coughlin, Dara Torres, Katie Hoff, Kara Lynn Joyce….and more to come. Pros are usually sponsored by a company not a paycheck from a team. Dee, You sound like a wonderful mother and coach. I sincerely appreciate you comments. Yes, we are planning to move our children to another team. In reality, moving sounds easier than it is. We live in a small community where options are limited. Plus, when my oldest is in high school. Without moving to another area, we have to deal with what we have. I will agree that all sports have their crazy, obsessive parents. I just haven’t experienced the craziness in quite the same way in my kids other activities. I will say this for my kids, they definitely have the love of swimming. In spite of all the abuse they have encountered from other kids and parents, they still want to swim. BTW, my husband and I (as well as many other parents) have spoken with both YMCA and school officials about some of the problems. We are hopeful that change is forthcoming. Thank you! Linda, you need to realize that you too are looking at this from a very one sided point of view. Your response to the article leads me to believe that you are basing your views on swimming from personal experience, and it seems like you chose to only mention the negative. I’m also guessing you are a parent to a former swimmer? If this is the case, I am sorry that your experience has been so rough. Not everyone in the sport is so into it that they chose to only swim. I know many people who manage to have active social lives outside of swimming, and still swim daily. Also like others have mentioned, you find the crazies in any sport. Some might argue that you find more crazies in sports that do have “professionals”. But you are on a swimming site. If you don’t like swimming and don’t think it is a sport, you don’t need to be here, in fact, most people probably don’t want you here. Realize you commented on an article that swimmers read, and we dont want you badmouthing the sport that many of us dedicate ourselves to everyday. We work endlessly to improve, we push through the pain, and we don’t give up. That is what sets us apart from you, and until you are in our shoes, you have no right to talk trash about us, and the sport we love. Linda I believe in you whole heartily. I also that think swimming is an “obsession” not a sport. Sure, people argue that it gives physical fitness. After all, it is probably the best cardio exercise out there; it goes easy on the knees and the legs. However, what most people tend to forget is how much it damages the epidermis and the hair. I always cringe at the thought of a swimmer repetitively jump into the pool to the poisonous chemical called chlorine and watch over time damage their skin and hair. It is not safe for them and over time they might even get poisoned from it! Furthermore, this obsession has enabled big companies such as CeraVe become an empire and charge all the swimmers money for their products. If this obsession would die down a little, then corporations would not be stealing those hard earned dollars. Swimming has hurt hundreds of children around the world with its dangerous chemicals and enabled big corporations to be rich. Swimming must be stopped or at the very least kept underground. As a D1 swimmer for a university in america, I can’t believe you have the audacity to call such a wonderful sport a cult. Being that the nature of the sport is so demanding, why wouldn’t we put it about other sports? I had plenty of friends swim varsity in high school, as well as on my club team, while participating in soccer or track or basketball etc. Again, its not that we are discouraged from having friends who aren’t swimmers, it just happens that way. People we spend over 20 hours a week with, with sweat, blood, and tears, naturally become our closest friends. They understand what we’re going through and they ‘get’ us. There are plenty of levels of swimming and if you don’t want to give up family vacations that’s absolutely fine. The last thing we are is a cult, but sure as hell if you come at our throats we will band together and support each other. I have made the best friends in the world through this SPORT, and I know they will be in my life forever. Furthermore, give me one sport, activity, or event that doesn’t have mean spirited children? Dance, cheerleading, basketball; they all have mean kids, crazy parents, and desire to put others down. To single that to just swimming is ridiculous. While I define myself as a swimmer, the last thing I am is a one dimensional entity. Swimming has taught me athleticism, discipline, happiness, laughter, and most of all communication. Is that one dimensional to you? Swimming teaches more aspects of life than any other thing I have participated in. Swimming encourages excellence in all aspects of life, not just in the pool. Just because a parent encourages swimming does not mean they were never successful and I can’t imagine how many swim parents you are offending with that single comment. Is a parent wanting to see their child do well in a sport they love a crime? Wow, I didn’t think so. And you think there aren’t any professional swimmers, then what pray tell is Michael Phelps? Ryan Lochte? Yes, the market for professional swimmers may not be as large as players for the NFL, but these elite athletes get paid and studied for their contribution and performance as a swimmer. Seems like you have a little too much time on your hands. Actually, there are professional swimmers. Casey – Sorry Casey but you are wrong. I have countless swimming awards and accomplishment and both my children excel in swimming. My comments are based upon what I see happening in organized swimming for younger children today! Many individuals say that swimmers have a choice. In my experience, when they are young, many swimmers do not have a choice. They are pressured by the adults in their lives. Linda, I was a football player as a youth and in high school and college. It took me a while to get used to my kids swimming. All six of my kids are swimmers at levels ranging from a beginner and up to sectionals and college swimmers and I have seen first hand what you are speaking of. That said, it is an exception and not the norm. I have seen my kids and other kids swimming for the past 15 years. I have seen my kids compete on all levels and in many areas of the country and against swimmers that are not that good and even against Missy Franklin. Yes, my daughters have competed against her. I can tell you from first hand experience that there is not a better overall bunch of parents and kids than swimmers. They root for each other, for the team and even for swimmers on other teams. Having stayed late since the mile is usually one of the last events many times, I have watched my kids, other kids and parents yelling for the slowest person in the water till they were done with their event. In no other sport have I seen kids get as good of grades, compete as hard, support as much and be as well rounded as swimmers. I am sorry you did not have as good as an experience as myself and so many others that I have known during my long and on going swimming careers. By the way, Missy is truly what you see on TV and in person as many of the swimmers are, not stuck up, but truly fun to be around. And she has great parents also! Maybe you and your children should have tried some other sport if it was not right for you? Linda, you’re being kind of rude and assumptive… putting sport in quotations? How are you defining sports? Games, balls, contact? Are you really the parent of swimmers or are you making that up? If you were interested respecting the SPORT itself rather than being angry at the institutions and stereotypes surrounding it, you’d know that swimming IS a dedication. The older you get the more serious you get. That’s how the world works in general. Swimming is a race. Racing requires giving all of your body in the form of your best effort. Giving your best encompasses the true spirit of any sport. You don’t see scholarship-track high school quarterbacks throwing shot put in their free time. Why? Because they want to give their all to their existing activity. If you’re upset that swimming is too hard on young children I think you should amend that statement to saying that TEAMS are hard on young children. Some teams are crazy and some teams are not. It’s not swimming’s fault that YOU live in a small town. And a cult? Really? Swimming creates a community like anything else. Swimmers love their community. It’s ALWAYS nice to be part of something, even you can’t deny that. Athletes are encouraged to spend time with teammates in an effort to bond with them and increase your desire to compete well, not just for yourself, but for your team too. In regards to professionalism, again, how are you defining that? Someone here offered that Katinka makes a lot of money but that wasn’t good enough. I can respect that. I agree that a big paycheck does not a professional make. But I dare you to look at Missy Franklin’s ear to ear grin, her DENIAL of olympic prize money so that she could compete in college, her graciousness when she wins, her intellectual gifts and her genuine love of the swimming and tell me she is not a professional. I’m currently a Division 1 college swimmer. I dove and played soccer, basketball, lacrosse, tennis, volleyball and baseball up until high school. I was asked to choose when I told them my goal was college athletics. I played keeper in soccer and was good. I could have gone either way, each team wanting me to pick them because I had something to offer. I chose swimming because I found the soccer players I knew to be catty and bitchy most of the time. Are some soccer players like that? Yes. Are some females, in general, like that? YES. Are all soccer players like that? No. Is it the soccer’s fault that those particular girls were like that? No. Don’t tell me that other sports are better because the players, parents and coaches are nicer cause thats bullcrap. It’s relative. If you’re mad, go be mad at all the crazy parents, coaches and “cults” you know instead of taking your frustration out on the sport itself and saying that all swimming is bad. Stop putting up this “glad you had a good experience, mine was awful and I’m bitter about it” front to everyone who replies; it’s tiresome. Sorry your experience sucked but you’re just straight up wrong and your way of making a generalization about swimming because of your experience is, frankly, a little childish. Linda, I’ve seen some super aggressive, negative comments to your post, and on behalf of all rational swimmers everywhere, I apologize. Also, there are so many repetitive comments that I didn’t read all of them, so I also apologize if I’m just adding to that. Anyway, there is undeniable truth to your comment. There are so many great things about swimming, obviously. But anyone who pretends that swimming doesn’t have a dark side is just kidding themselves. But, that is only one side of the coin. After my hip replacement, I went on the swim at the collegiate level, with the most patient, gracious, and talented coach I have ever met. He was extremely careful and attentive to any possible injuries, worked with athletes to make sure that had adequate rest and medical attention if needed, and was interested in us also having a well-rounded life outside of the pool. As a result, his athletes and athlete-parents followed suit in terms of priorities. And for our team, it should be noted that it was a winning formula. During his tenure, our team completely reset our school’s record board and sent several swimmers to the NCAA championship. My whole point is this: when it comes to swimming (and honestly, this is probably true of most sports), it’s all about the coaches. If I had known in high school that you could find a caring, well-rounded coach, I would have switched teams in an instant. I was just too wrapped-up in my own stuff then to realize that the situation wasn’t okay. I had many friends who had a much, much better experience than I did through their high school years of swimming. I would guess, if you are dealing with overly aggressive parents, and overworked, stressed swimmers, you are likely at a team where the coach is pushing that kind of agenda. If you want your children to keep swimming or to get involved with swimming, reach out to a couple of coaches in the area, and look for the ones who share your own values. Swimming is truly an amazing sport. It’s so inclusive, in my experience. It teaches hard work, perseverance, independence, team work, and honestly, it’s the best workout you’ll ever get. It’s so worth the effort to find and amazing coach. You just have to dodge the bad ones. Anyway, best of luck, Linda. Linda, I am a swim parent and I have certainly seen that end of it in swimming. I am a soccer parent as well and have seen that end of it in soccer. And don’t even get me started about lacrosse. Like all things in a family, direction and leadership flow from the parents. Parents choose the team their children are on (assuming they can make the team) and so they choose the culture as well. I have two children who swim. I am amazed at their dedication and determination to succeed in a sport where there are even fewer superstars than in the NFL or MLB. Attending early morning practices, sometimes 2 a day and electing not to attend social events due to a swim meet the next day was certainly never my decision as a child or teen. In fact, before I pay the swim fees every year, I reflect on all that I think they are missing and I sit them both down and ask them point blank, “You want to do this, right? It’s okay if you want to stop.” They never want to stop. However, there is only so much family time I, as a parent, am willing to dedicate to the sport of swimming. For that reason, my children swim for a forgiving Y program. They are encouraged to try other things (though they generally don’t because they actually love and want to succeed in swimming). They aren’t penalized for taking family vacations, or missing a meet for their piano recital. Will they make it to the Olympics? Absolutely not. Have they made great friends who share a common work ethic and goal? Have they learned the value of time management? Have they experienced that unique sensation of complete joy brought about by knowing that your success in that meet is the sole result of hard work, determination and sacrifice? A resounding yes. As with anything, as long as the parent remains in control of the child, and makes decisions based on the needs of the family and child, whether that decision is to enroll in an elite program or a less demanding program, swimming is an incredibly positive lifestyle no matter at what level your swimmer is competing. Linda, I am a mother of two swimmers. I think swimming is a sport . My kids had been swimming from early age, but they also have play other sport as baseball , football , tennis and soccer. Now that my older son is in hight school, he has made a decision on which sport he want to do. If you want your kid to success in life, it start with sport. It does not matter what kind sport it is . What it matter that they have a great time doing what they like to do. Mirian, I absolutely agree with you. Whatever your kids do they should have fun. Swimming, when kept in the proper perspective, is a great activity. I wish you and your children the best! Wow! I too experienced the hidden pleasures of swimming. There is much more to swimming than the work put in by swimmers; there is much more than watching the competitiveness between the two swimmers at the end of the race. The true enjoyment in swimming comes from watching people count long distance races those big numbers. Watching the delicate ritual of counting is probably the most exciting of part the race and the meet. I feel truly blessed to watch the practice of a human being counting the swimmer’s laps in races. There is something unique when they use their intellect to keep track of the race. Nothing gives me more pleasure than dunking those huge numbers in the pool right before that speedy flip turn. Most of what you said may be a dark and sad truth of the sport of swimming. Although, “well rounded, contributing citizens” is just an audacious remark. What is your opinion of our service academy swimmers; USNA, USMA, USAFA. I think the problem was that your initial comment came across as a generalization. Every sport has those problems — you should see some youth soccer parents paying hundreds of bucks for private lessons. Agassi wrote how his father pushed him into tennis at a young age. There are 7 year old kids selected into Brazilian soccer boot camps. Like most things in life, there are some negatives when driven to extremes. But your initial comments came across as your view being the general experience of competitive kids swimmers, which it is not. Linda, although some of those things may be true and I feel sorry that you have to be in such a corrupt community (you really need to change clubs if what you said was true), you have to agree that swimming is a sport. That is Oxford Dictionary’s definition of sport, and I’m sure swimming involves physcial exertion and skill and there is competition, so at least you have to admit swimming is a sport. L – In my initial comment, I should have said that swimming isn’t just a sport, it’s an obsession. I haven’t corrected that error until now. It’s been intresting to see how many people flew off the handle with that one comment when whether swimming is a sport or not wasn’t even the point of my post. I just love the haters. I believe Panda’s post represents where I was really comming from with my concerns. I just think some controls need to be put in place to regulate the SPORT when young children are involved. Linda, I will just add one thing. USA Swimming do have many guards in place to protect their young athletes. Every one from coaches, to officials and administrative at the club and LSC level have to take yearly or bi-yearly training on Safety, Sexual and Child Abuse, and there is another one I can’t think of right now. I can tell you from experience on the adult side of the sport as a USA Coach and Official, that Safety of the child is the utmost importance to USA Swimming, as well as many NFHS Associations (state interscholastic programs). Abuse is just not sexual or physical it is also mental. I am sure the YMCA/YW programs have similar safeguards. You may want to look into their policies. I grew up swimming since I was 5. At first it was by chance as my brother had practice and I would chug along. Inwould take a few strokes and hang on the lane line. I learned how to do all the right strokes on a team. I was lucky because we had a swim team of 200-300 kids. Many with multiple kids from the family. It was kind of a way of life and partnership. To Finish my story- I went on to swim in AAU- which is now USS swimming all through my school years. Awarded a full ride scholarship that paid for my extra years of education due to my swimming and school requirements. To this day- I have life long friends and a family. I have perseverance and I truly believe there is Nothing you cannot do if you set your mind to it. I have been very successful in life with regard to what I apply myself to. I have always had a positive attitude and found that in tough times, you get back up and move forward, fighting positivily for a better outcome. It is both an individual and team sport. The net net is: you have your opinion. If your child flourished in that environment. Would you take them out or away from it? Was your child busy with s sport and school so they were not driven to make bad choices? I tried out for the Olympics twice. I am honored to say… I am a swimmer and a member of a team. Btw-! My parents said any day I wanted to quit- I could. Any day. Kate, Congratulations on all your success. You are certainly an inspiration. Thank you for sharing your story. As a swimmer myself, I can tell you that you are not exploring everyone else’s perspective around here. I’m currently a junior in high school myself, balancing 5 AP classes, swimming, volunteering on a weekly basis and I still manage to do everything that I want to do. I’ve tried every sport I could try, you name it and I’ve tried it. I played soccer for six years, danced for eight years, played tennis for five years and the list goes on. However, as I grew older, I realized that I truly belonged in the water swimming. You may say this is an obsession or forced on me by my parents: I’d say you’re wrong. My parents gave me the choice to do whatever activities I wanted to and told me that the choice was mine as long as I kept my grades up. As for an obsession, taking part in the sport that has become an essential part of my life is not an obsession. I swim because I want to be fit and in shape, and unlike the rest of the sports I took part in, swimming gave me a natural high and it’s what keeps me sane when my life gets too chaotic. I’ve experienced sickness and had to be away from the water, and let me tell you, it was one of the worst experiences of my life. I wore contact lenses and due to my lenses I contracted an eye infection that almost cost me my vision in one eye. As a result, I was not allowed to get back into the water for six months. For those six months, my only question to my doctor was “when can I get back in the water?” It’s my love for the sport that motivates me to swim hard and improve myself. Also, over the course of my swimming career, I’ve been on three different swim clubs and one high school team. I’ve never seen this competitive or “put down” attitude from anyone that you seem to have seen in your community. This is because where I practice, we are all focused on how to improve ourselves and not prove ourselves to be better than the next person. I understand that you may have come across some obstacles with your children and swimming, but do not generalize this because it is not the case with anyone else. I’ve explored every option possible and I still manage to handle my tough academic rigor (maintaining my own position on the honor roll) and the long hours of swimming and I know that it’s worth all of the hard work and late nights that I put in. S, I’m happy for you. I’m glad you had a good experience, not everyone does. To those out there who extol the virtures of swimming, remember there are two sides to every coin. Linda – I don’t think anyone will argue that there’s two sides to every coin. This is true. But the choice is up to you on which side you will choose to focus on. Linda, I’ve read your arguments within these comments, and I hope this helps to put the feelings of swimmers into perspective. There’s something to be said about the camaraderie of a swim team. You have 50-300 kids all in the same place at the same time sharing the love of the sport. I’ve been swimming since I was 9 years old (over half my life), and I would never take those years back. They were some of the best years of my life, and for good reason. There were times in school where I would come home tired, cranky, and loaded with homework. My mind would be scrambled and I would have the hardest time just sitting down and working. So what would I do? I would go to practice. No matter what was happening in my life, practice was always something concrete that I could focus on and count on to keep my spirits high. There’s nothing like the adrenaline rush you get when you’re in the pool. I was, and still am heavily involved in school and the community. I took part in every music department the district offered (marching band, symphonic band, orchestra, 2 choirs, and music theatre), volunteered for 4 non-profit organizations, and held two part time jobs. I also was a part of an academic program that required all participants to take 6-7 AP/College level courses. I walked away from high school with high marks in all my classes, and with an acceptance to every college I applied to. If there was one thing I could pin my sanity on through grade school and beyond, it was swimming. My swim team became my second family from the second I stepped foot onto the deck. The compassion they showed for their sport was unlike any sport I had ever seen—which I can compare to soccer, softball, gymnastics, and dance. Before and after every race there would be someone there to congratulate you, boost your spirits, and just let you know that you had the team behind you no matter what happened. Not a single person would ever just be sitting against the wall—everyone would be cheering and yelling for anyone in that pool. It didn’t matter if they were the next Michael Phelps or Missy Franklin, or the slowest person on the team. What mattered is that you were putting everything you had into that one 30 second race. Even now, I still know that I will always be welcomed back to my old team practices when I come home from school, and that my coaches are always available to listen and give the best advice you could ask for. In addition, every single parent on that team supported everything we did, and knew the name of every swimmer. They congratulated all of us whenever they could, and showed a true love of the sport. Each and every one of them were proud of their kids, whether they put in a PR, or missed their time by 5 seconds. What mattered to our parents is that we were happy. My team has dedicated each year to one particular team member who had cancer, and even after they passed away, the team still hosts multiple charity events each year in his name. When a team member’s parent passed away, the first thing our team did was band together and raise money to support that particular family in their time of need. Why? Because we are a family, the best of friends, and the strongest support group anyone could ask for. There’s nothing that discourages team members from having friends outside of the team. I do. But, some of my best friends in the world are from the swim teams I joined when I was a 9 year old kid with wide eyes and potential just waiting to burst through. Even when I wanted to stop swimming, I didn’t because I knew I would miss out on so many amazing experiences. My parents never forced me into it—I did it because I loved it. Swimming is a passion like any other sport or activity. I miss swimming like crazy now, and I wouldn’t trade my years on the team for the world. Maddie, You sound like an amazing young woman. If swimming helped to build your character and make you the person you are today that’s wonderful. Maybe you should become a coach. Perhaps if my experiences with swimming had been with a coach like you would probably be; I would have a totally different outlook on the sport. I honestly don’t think swimming itself is bad for anyone. I do believe that it’s bad when the organization of swimming (or any activity) gets out of control and the environment becomes damaging to children. I’ve just seen too many children destroyed as a result if parents and coaches with little or no compassion. I’m talking more about the early years of YMCA/Swim Club swimming. I know children who have severe headaches and anxiety attacks before they swim, not because they don’t want to lose, but because they are afraid of the repercussions. I could list dozens of examples of serious abuses against children, but I won’t do that here. It would just provide another onslaught of responses from my haters. Suffice it to say that it is the very intensity of swimming, that has been described in all the above comments, that fuels the pressure placed on some kids. Learning to handle pressure is good, but too much to soon is not. As I said, you seem like a terrific young woman and I respect and appreciate you opinions and experiences. I have appreciated all those who have shared their experiences with me because it makes me believe that there is hope for my swim club. I won’t change my mind about the need for close regulation of swimming and swim coaches, expecially at the elementary level. Parents and coaches need to be held accountable for their actions and comments. I wish you the best in the future…think about coaching! When you talk about how parents shouldn’t push kids to pick something that they like or obviously love. Then you’re doing it wrong. Your kids won’t excel at anything if they do every single thing. It takes focus to do one sport, not to mention a sport like swimming. Also, Swimming is the most “multi-dimensional”, your damn quotation marks are annoying, activity/sport anyone could participate in. As a parent you should want your children to know how much work it takes to be good at something. Unless you were never good at anything, so you’re trying to compensate by hoping your kids will be great at everything. Your kids wont be. Not unless they put effort into it. Let me talk about swimming from a different angle for you, a multi sport athlete angle. I was a swimmer up until last year, but it did not consume my entire life. I actually did not join the “club swimming” scene until I was a senior in high school. In high school I was a 3 sport athlete (baseball, swimming, and football) and excelled in all 3 (2 Time All leaguer in swimming and football). I was also a member of my school’s varsity show choir group from my freshman year until my junior year (I wanted to devote more time to football and swimming to earn a scholarship my senior year). Through all of this, I can say that my swim teammates were the MOST supportive group of all my athletic teams and my show choir group. They thought it was so cool that I was able to do so many different things, and do them fairly well. You say that your kid’s teammates get angry with them for trying different things…I am truly sorry for that. I think that kids should be able to try anything and everything that makes them happy, it is what I did and I wouldn’t trade my high school experience for anything in the world. BUT I do think that it is unfair for you to put that generalization on the entire swimming community. Swimming is an amazing sport, no question about that. As someone that has been around all kinds of athletes, I can confidently say that my swimming friends/group were the most supportive of not only me, but anyone in our group that ventured away from swimming. A CULT? Sure, if calling it that makes you happy then so be it. It was easily the most amazing “cult” i’ve ever been a part of. I was a D2 All american last year and decided to retire from swimming after my freshman year. Now, I am back on the diamond lacing up my spikes and grabbing my baseball glove at a local Junior College. You wanna know what group of my friends is coming to my first game? Football? Nope. Show Choir? Nope. I respectfully ask you to reevaluate your take on the swimming community. I agree with the critics to this extent: swimmers at a young age do not all need to be treated as future Olympians and put through the regimen of twice-a-day workouts consuming four or more hours a day just to shave a few milliseconds of their times. This overtraining is a relatively recent perversion of the sport. When I swam in college at Princeton, we had one workout a day in the late afternoon lasting about 90 minutes and rarely swam more than 3,500 yards. Our coach did oversee an early morning workout for those who wished to practice more, but it was purely voluntary. Injuries like rotator cuff injuries were almost unheard of in those days. Now kids often get injured early and often and are “burned out” before they reach their teenage years. They also pay a steep “opportunity cost” in having less time to explore other activities they might be interested in and good at. For what purpose? Just so some coaches can say they are training future champions? Let’s bring back some sanity to this sport. Perhaps the younger people should look at how much fun we older folks have in masters swimming, where most of us train rationally and enjoy a lot of camaraderie in and out of the pool. Indeed, masters meets often end with a social where everyone can get to know each other better out of the pool. I’m 71 and have been swimming competitively since age 6, and I’m still enjoying it. But I don’t log 10,000 yards a day! Wow. I never knew someone could be so incredibly negative about such a great sport. I’ve been an age group swimmer, D1 college swimmer, age group and college coach, official, and swim parent. I don’t regret one minute of the time I’ve gladly given to swimming. Great friends, great atmosphere, great travels, great memories. Nothing was forced … not on me or my children. It gave us great time management to do awesome in school. We planned our vacations around the season. We did other sports until it was time (13 years old) to get serious about what we were doing. We go to church. We play musical instruments. We love the water and feel blessed to be able to enjoy the oceans. It continues to keep us in great shape without the injuries other sports cause. I am just shocked that anyone could write anything so horribly negative about a pure and wonderful lifestyle. Linda, I can understand where you are coming from as a concerned parent, only wanting the best for your children. With that being said, your opinions are just that opinions. From reading your comments a voice, I’ve ascertained that you, as a parent (and not a swimmer) have had a bad experience with the sport. I was fortunate enough with both parents who encouraged me to do what I wanted all through-out my life. I was the one at age 6, who decided to take up swimming for a local club. I swam up until my sophomore year of high school. I ended up swimming both high school and club swimming. The amount of hours and yardage my teammates and I put in were a lot, but we gained a sense of camaraderie and personal strength. My coaches have always been so supportive of my goals and dreams for swimming, and for my future. I was so lucky. I had to chose between swimming and other commitments such as other sports, academia, and a job. I chose the others because I knew that as much as loved the sport, I knew that for my future I had to pursue other things..Looking back, deciding to swim was one of the best decisions of my life. I have gained many a friend, determination, perseverance, and copious amounts of contacts. I still love the sport, and there is nothing better than after a long day at work, hitting the gym/pool and gliding through the water. I am so lucky I had a positive experience. I wish you and your family the best of luck in the future. Linda, for someone that speaks about the insanity we swimmers put ourselves and those who look up to us through…I get where you are coming from. But you may wanna back away from the computer for a few weeks when you or other people start noticing that you are every other comment on a sport that you would likely call the devil in quotations. Most swimmers have a love of water and occasionally they find themselves taking it to an extreme. I wish I did not jump so deeply into our regimen because I lost a lot of sleep in HS but at the same time, I loved four am wakeups and hated school even when I took Adavanced and Honors classes. If a kid shows up to most, if not all their practices, let them explore that passion and follow it with a maddening dedication. Cause all the kids I have swam with and coached exemplify what I, and most the world, call successful and that takes dedication. Now seriously, cheese cause spelling out warnings of the high intensity of this sport while coming off like a wildly intense parent is a bit foolhardy. Perhaps Linda to help change the team you should join the team board or volunteer as or coach or official? Do something positive to change the basis of the team if you are not already doing so. Many times I have seen parents just complain and switch from team to team instead of sticking with their team and trying to make it better? It sometimes takes work and is a challenge. The team my many kids are with has not always been easy, but we have stuck with them through thick and thin. That’s what makes a team and shows the kids that with work we can improve. Quitting sometimes is not the answer if you do not try first. All teams have good and bad, not all parents have the work ethic or fortitude to work and make them better. Again, I am saying this from a 15year swim parent with swiimmers currently from 7 to 20 years of age. Two in D2 college, two in high school and on the swim team both high school and club and two in elementary school and in club. I have been to Silver State, State, Zones, Sectionals and this year in the NCAA D2 tournament coming up. Swimming is a dedicated, hard working SPORT and I am glad that all my kids participate. It is their choice, not pressured by us as parents. Perhaps your kids would be better at baseball, soccer or some sport that is better suited for them? Linda, please stop now. You tried valiantly to make your point, but now it’s excessive and unnecessary. You’ve unsuccessfully tried to speak very poorly of swimming on a SWIMMING WEBSITE. If you want to keep talking negatively about a truly wonderful SPORT, create your own blog. Additionally, you have no “haters” so don’t try to flatter yourself. Everyone on this comment chain is trying to show you how wrong you are, and they have every right to because you are wrong beyond belief. It’s one thing to write your generalized opinions once based off of a personal experience. It’s another thing to repeatedly try to prove them to a bunch of people who believe you are being absurd. What you’re doing is a waste of time and energy. I say this with the utmost respect: Go write about how much you hate swimming somewhere else, and leave the rest of the swimming world alone. Well said. Let this discussion stop. M – Clearly you have reading comprehension problems. I never said that I hate swimming or swimmers, I just said that greater controls have to be placed on the sport, especially with younger swimmers. For those who believe that swimming is the greatest…take a look at the information below. Numerous studies have been conducted to determine what the long-term effects of chlorine exposure may be. This may be a concern of those who spend a lot of time at swimming pools, whether it’s swimming athletes, swimming coaches, lifeguards or those who swim for exercise. Lung problems: Being exposed to low levels of chlorine gas may lead to certain diseases of the lung, including bronchitis. In addition, asthma could develop as a result of this type of exposure. This is more of a concern for those who frequent indoor pools since these locations are more likely to have a higher density of chlorine in the air. Tooth corrosion: Long-term exposure to low levels of chlorine gas may also lead to tooth corrosion. Like lung diseases, this is also more of a concern at indoor pools. Cancer: Studies have found that those who often swim in chlorinated pools may have an increased risk for cancer. This is based on the fact that these people experienced a rise in blood markers associated with cancer. Also, if you don’t like what I’m writing simply don’t read it. My responses would stop if folks didn’t respond to my post. Isn’t that’s what blogging is all about. It makes no sense for me to blog about swimming on a soccer or football blog. That’s why I’m blogging on a swimmer’s blog…duh! How about this Linda, You are correct on everything you say, we all agree with everything you have posted. There is no reason for you to reply here any more. Does that work better for you? Thanks, have a great day. Just listen to Pat. He’s got the right idea. So, “M,” do I take you to be saying that everything is ok with the sport as it exists today, that the proven child abuse that has been exposed is ok, that the physical injuries that have been caused by overzealous coaches using methods not grounded in real science are ok, that everything is just honky-dory? Everybody has piled on Linda here for pointing out that there is room for improvement. I’m wondering what kind of pollyanish world you live in. “Sandy,” I live in a world where I believe, as Bert Lance so wisely put it, “If it ain’t broke, don’t fix it.” My experience with swimming, along with countless others, was wonderful and changed my life positively. If you have a problem with your coaches, do something about it. Don’t hide behind a keyboard and complain about it to strangers all day. Your life is in your own hands. Not anyone else’s, so take charge of it and make the changes you want to see. But, do not blame your problems with a group of people on the group of people as a whole, when only one or two people have caused the problems that made you angry in the first place. There are thousands of brilliant, kind, and passionate coaches out there. You just so happened to have run into the very small percent that may take it a bit too far. I don’t deny that those types of people exist. But hey! They’re EVERYWHERE! It’s up to you whether or not you choose to allow them into your lives. I love the sport, and there are thousands of people who will stand behind me and support me completely. So, if I want to live in a “pollyannaish” world as you put it, so be it. It’s my own life, and I will steer it in whatever direction I so choose. You can interpret it however you want. Perhaps I was misreading Linda, but I took her to be saying that just walking away from a problem doesn’t really help to fis it. If you come upon a coach who is really abusing children, it is not enough just to separate yourself from that coach. You have a responsibility to expose the wrongdoing and join with others in doing so. Too many people for too long turned a blind eye to sexual abuse of young female swimmers by male coaches, and we ended up with a very serious situation as a result. Great article, balancing it all! Well said!!!!! Love this sport and what it means to my son! I started this Intern program years ago with Brent and Berkeley Aquatic and I am so proud that it still exists! Definitely owe you a lot for this program continuing as well as it does today!